Flipping through the channels on my TV recently, I came across the movie “A Christmas Story 2.” For those who don’t know, this would be the straight-to-DVD sequel to the undisputed greatest Christmas movie of all time, “A Christmas Story”- I will fight anyone who doesn’t share my opinion on the greatness that is “A Christmas Story.”. While I didn’t have high expectations, since there was nothing else on, I decided to give the remote a rest and see just how long I could watch this movie without changing the channel. Twelve painful, excruciating seconds later, I couldn’t take it anymore. I quickly reached for the remote and turned to an episode of Barefoot Contessa instead, where Ina Garten’s soothing voice gave me the recipes needed to host a successful children’s picnic party, which included a birthday cake whose frosting had *three pounds* of confectioner’s sugar- don’t tell Jeffrey! This bit of self-imposed torture got me thinking about my own voiceover business. There are- and this number is probably a little low- right around 12 billion voice actors out there. There’s also a pretty great VO community, which means that we’re always observing each other’s business practices, asking questions, and trying to help each other out. There are new voice actors coming into the field every day, and many of those young guns can’t get over the fact that making it in the VO world (or any business, really) is a marathon, not a sprint. So, to fast track themselves, maybe they cut a corner here and there, “borrowing” one, two, or all marketing tactics and business practices from another, more successful VO. Not an ounce of variation or tweaking- just straight copying. I mean, if it worked for them, it’ll work for me, right? Yeah…I’d be a little careful with this method of running a business. Whether you’re a voice actor or a carpenter, there’s nothing wrong with keeping an eye on the ones who are successful, and using some of what they do as inspiration for your own ideas. That being said, once you try to take everything from a successful business in an attempt to carbon-copy your way to success, congratulations! You just became the straight-to-DVD sequel to someone else’s business. Sure, you’ll sorta look the part, but everyone will know that your heart isn’t really into it and you’re just going through the motions in an attempt to make a quick dollar. Piggybacking on someone else’s success with a cheaper imitation never goes as well as the original, so why not take the time, plot a long term business strategy, and do some innovating instead of imitating? 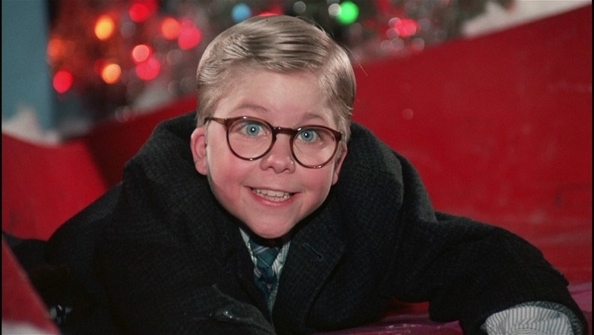 Your business has all the power of an official Red Ryder carbine-action two-hundred shot range model air rifle. Don’t shoot your eye out, kid. Don’t shoot your eye out.